Inicio » Sin categorizar » Why take out fully comprehensive cover when you are hiring a car? Every vehicle that is on the road in Spain must have obligatory insurance that covers at least damage to third parties such as other vehicles and people. However, we would highly recommend taking out fully comprehensive cover for your hire car so that you and the car’s occupants are not only fully covered for accidents but also for any damage or theft involving the vehicle. When we go on holiday we do so to relax and take time out and one way to significantly help that is to make sure your hire car is fully covered against any eventuality. Here we’ve put together 5 benefits of taking out fully comprehensive cover with Goldcar. 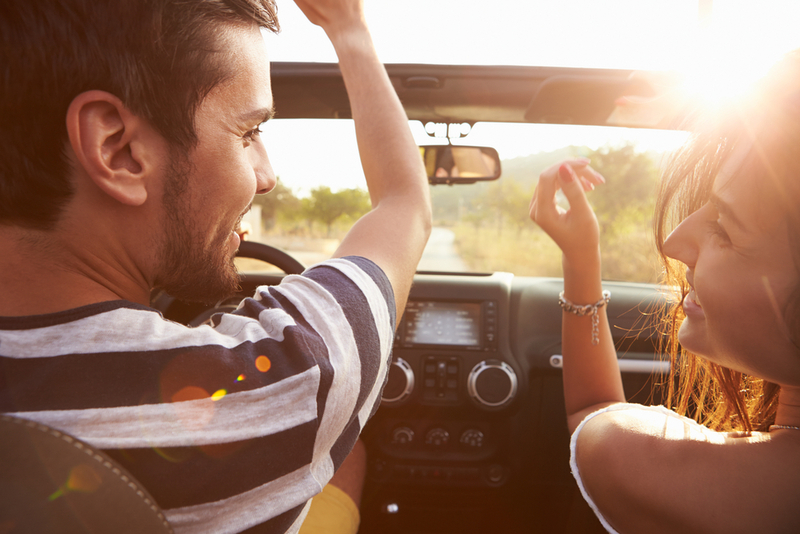 Most car hire companies will hold a deposit on your credit card for the duration of the holiday as a security against any damage, punctures, or theft. With Goldcar’s Super Relax Cover you have in a package the best cover for your hire car. This all inclusive cover has many benefits and give clients complete peace of mind while on holiday allowing them to really enjoy their time away. There’s nothing worse than having to watch the pennies while trying to enjoy your break and with a fully comprehensive policy you can make the most of your time and not worry about a deposit being held on your credit card. How many stories have you heard from people who have been away on holiday, hired a car, and something has happened involving the vehicle that ruins the end of the holiday? For example, they have returned to their hire car and discovered that it has been scratched while they were on the beach, or a tyre has been damaged by something sharp lying in the road. Many car hire companies will charge an excess to cover the costs of any damage and, although it is a limited amount, it can hurt the pocket, especially following a holiday. With all inclusive cover for your hire car you don’t have that problem. Ok, a little time lost while sorting out the problem with the vehicle, but nothing more than that and you can continue your holiday without dreading returning the car and paying out for the excess. Whether we are travelling with friends, family or on our own it is important that we can actually get to where we want to be without too many issues. However, life can be unpredictable and sometimes things go wrong, a car can malfunction (rare these days but still a possibility of course) or an accident or puncture may disrupt our journey. When we consider car hire insurance it is well worth looking for fully comprehensive cover that includes 24 hour roadside assistance, such as Goldcar’s Super Relax Cover, which includes this service, meaning you and your passengers will shortly be on your way to your destination and not standing helpless on a foreign roadside. It’s Less Expensive Than You Think! Yes, the actual final cost for cover for your hire car is not that much more if you opt for all inclusive cover. Check out the options in the ‘Extras’ menu on Goldcar’s website, www.goldcar.es and you may well be surprised at the cost to be completely covered for your hire car on holiday by opting for the fully comprehensive car hire insurance. Take a look at the long list of incidents or possibilities insured against with Goldcar’s Super Relax Cover. As I said at the top of this blog, being on holiday and worrying about whether you get a puncture or someone scratches the car, or the car gets damaged while you are away from the vehicle and it really is not your fault, is not much fun. When we get away we usually want to ‘get away’ from the general stress and worries of everyday life. Taking out a fully comprehensive cover policy for your hire car means that you really can. No thinking about an excess or charging a deposit to your card, any possible damages will be covered. Then you have the added peace of mind of free roadside assistance 24/7 throughout the rental.. An insurance that guarantees the best cover for any eventuality that you may have while driving your hire car. If you have not taken out car hire cover without an excess and the vehicle is damaged on the return of the vehicle, in most cases you must pay the cost of the repair. So make the most of your break and be fully covered. Having money to hand and a nice car to drive around in on holiday is what most of us enjoy doing while on holiday and by having the reassurance of all inclusive cover for your hire car allows any holiday to go smoothly and without any of those nasty surprises we often hear about. For a little bit more in cost we can get a whole lot of benefits that will help make a good holiday a great one, after all, you wouldn’t want to end the holiday paying out a lot more than it would have cost to have been fully covered against almost any eventuality. When you want t know how ti hire a car, it´s necessary to be cautious. We tell you why contract a full cover when you are renting a car.